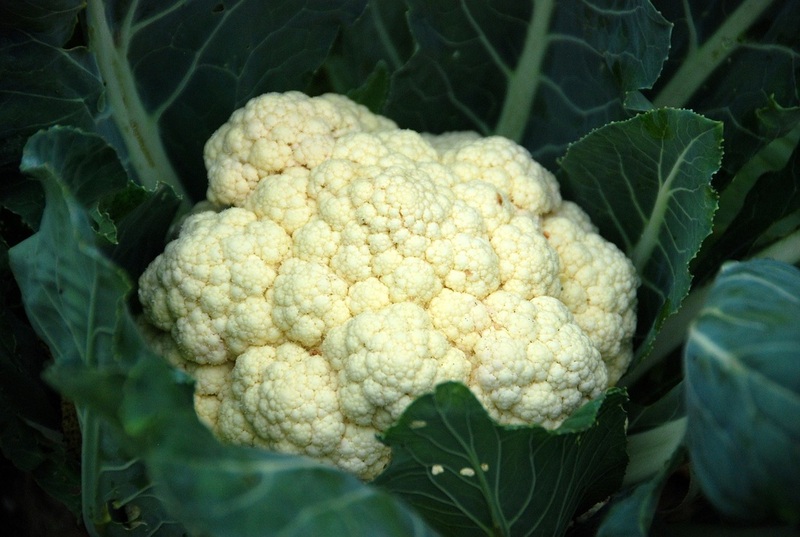 Cole crops are also called Brassica and include cabbage, cauliflower, Brussels sprouts, broccoli and kale. They can be used raw in slaw or cooked with meat or poultry. 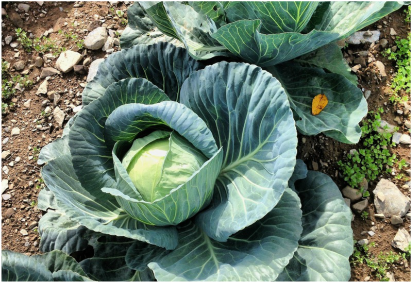 Cabbage is a main ingredient in New England Boiled Dinners and is boiled with ham, carrots and potatoes. Both cabbage and broccoli make delightful slaw, while cauliflower can be eaten raw with a dip or boiled, steamed or stir-fried. Brussels sprouts are commonly steamed or boiled, but are delicious roasted and drizzled with butter. 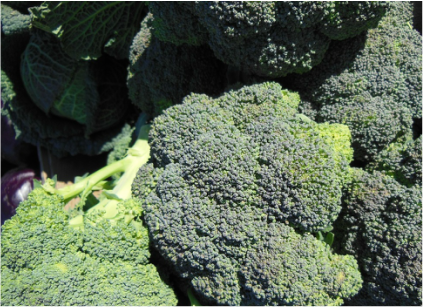 Broccoli is one of the most common cole crops. The part we harvest and eat is actually tiny, unopened buds of the broccoli plant's flowers. It is served raw with dip or steamed, boiled or stir-fried. Many children enjoy raw broccoli even if they balk at the cooked version. Cabbage ranges from traditional green cabbage to savory and purple cabbage. It can be boiled, fried, roasted or eaten raw. Cabbage is often used for cole slaw or served in boiled dinners. Brussels sprouts look like miniature cabbages growing along a tall stalk. They are similar in flavor, but are decidedly sweeter. Sweetness develops in the fall after they have been touched by the frost. They can be steamed or boiled, but roasting them brings out the most robust flavor. Like broccoli, cauliflower is actually the unopened buds of the cauliflower's bloom. These crisp nuggets are delicious raw or cooked. While traditional cauliflower is white, there are purple, orange and green varieties.